I’ve always had mixed feelings about the Ferrari F50. I feel like it didn’t get the love it deserved because it was overshadowed by the F40 and the Enzo. But also it had a goofy face that I couldn’t quite take seriously. I didn’t have any bedroom posters of it (I was an Enzo fan), but if you did, then here’s your chance to buy the one that wound up on all the bedroom posters. 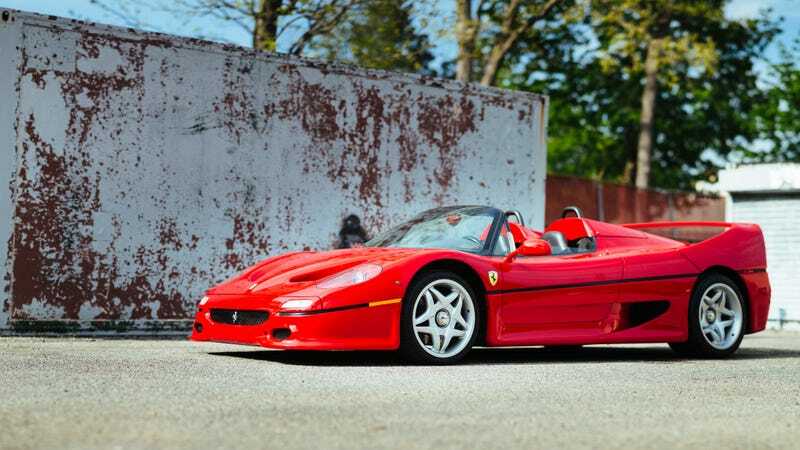 This particular F50, with a chassis number ending in 99999, is the last Ferrari to have a five-digit serial number and was Ferrari’s show car at many events, including at its official reveal at the Geneva Motor Show in 1995. 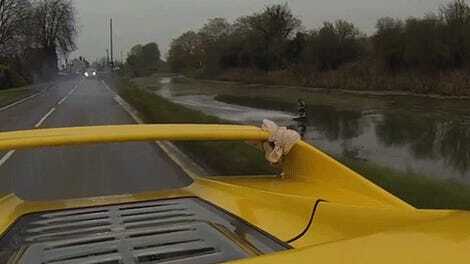 According to its listing on Autosport Designs, the car had been tested on Ferrari’s Fiorano test track and on the roads around Maranello by test drivers like Dario Benuzzi, Niki Lauda, Gerhard Berger and Jean Alesi. It’s also been the subject of countless factory posters, press photos, stock photos and some lovely cutaway drawings by Shin Yoshikawa. So, if you grew up with F50s posters on your wall, chances are that they were of this car. That part is extremely cool. As with other F50s, Chassis No. 99999 has a 4.7-liter, 60-valve, naturally aspirated V12 and a six-speed gated manual gearbox. It has only 1,400 miles on the clock. You’ll have to reach out to Autosport Designs if you want to know how much it is, though, because pricing is on request. Keep in mind that this car went for nearly $1.7 million the last time it was sold. That should help you gauge how much it is now.